Whether you’re moving away from home for the first time or just changing neighbourhoods; be sure to do your research before you rent your next apartment. Apartment hunting can be exhausting, from countless hours spent surfing the internet, browsing through online listings, calling your top choices and booking appointments. So before you begin your search here are a few things you should keep in mind. Sure the apartment is fabulous, with all the glitz and glam but is it in the right location for you or way out of your preferred neighbourhood? 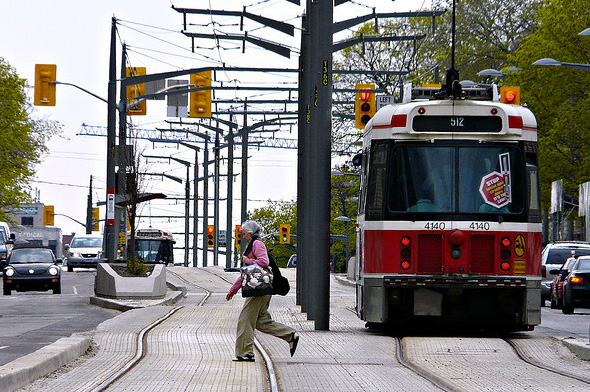 Consider your commute times, will you be driving or taking public transit? Will this make your commute longer, or shorter? 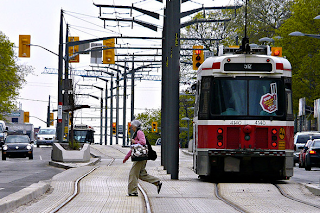 If you’ll be taking public transit, how far is the nearest stop? 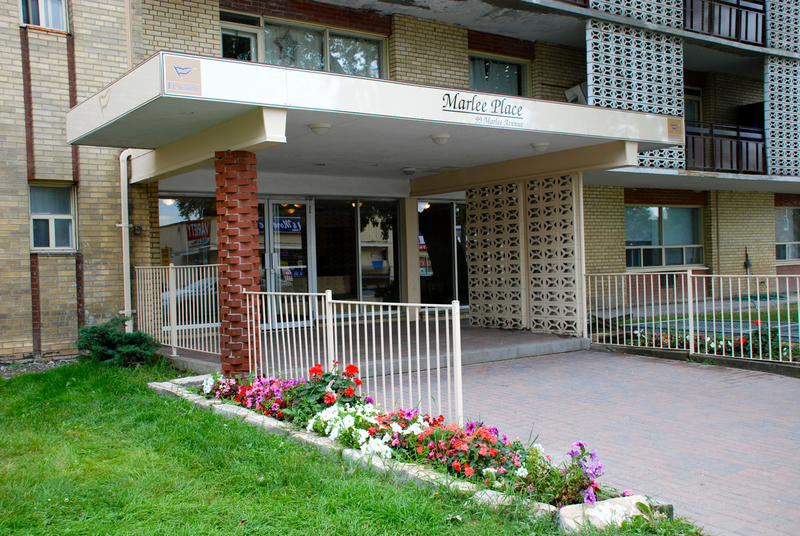 Since most apartments only have a small balcony, is there green space nearby like parks or trails that are within a short walking distance from the building? Living on a busy street in the heart of downtown is great, two minute walk to work but where is the park?? Having a park nearby is ideal, great for that early morning stroll or that afternoon yoga and relaxation session. 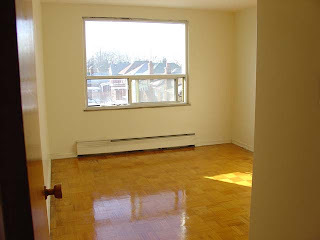 So before you rent that apartment, make sure the location meets all of your criteria. Close to work, easy access to public transit, nearby parks, recreation facilities, and schools. 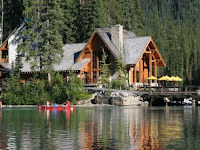 What are you willing to spend on your rental; do you have a budget set aside for parking and hydro? Now days, most rentals are plus hydro so as a renter you have to be cautious about how much electricity you consume to stay within budget. Try to set a realistic budget for your hydro expenses, consider the amount of time you have electronics running and size of your apartment. So if you rented a bachelor before and hydro cost you on average $30 extra don’t expect to pay the same in a two bedroom unit especially if you now have a roommate. Setting a budget is important, it will help you determine the maximum you can afford to pay on rent, remember to factor in other expenses in your budget like food, shopping, cable, entertainment, etc. Whether your downsizing or upsizing it’s important to consider the size of unit and layout before you rent. Will your furniture fit in the new apartment; do you need to buy smaller and more versatile pieces that have a double function? If you’re moving with a pet, is there sufficient space for your pet and you in the apartment? Now if you need to go out and buy new furniture, did you factor this into your budget already it might make sense to pay a little extra each month and rent the slightly larger apartment. 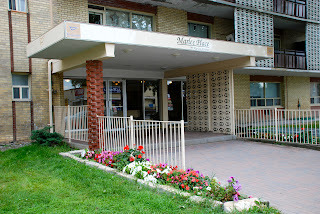 So before you begin the stressful apartment search visit our website www.flagshipcorp.ca we have everything you need to know about your new place. With community profiles done for each neighbourhood the location research is practically done for you. We also have property videos that highlight the building and location. 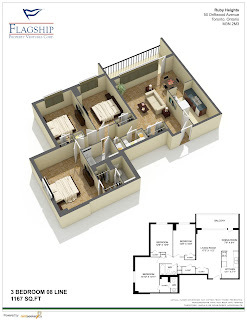 As well, we have floor plans for each building that will help you determine which unit is right for you and make planning furniture placement easy. At Flagship we understand the stress and time associated with renting, that’s why we are committed to making the rental process smooth and your tenancy with us long and enjoyable. Visit our website and rent from us today! 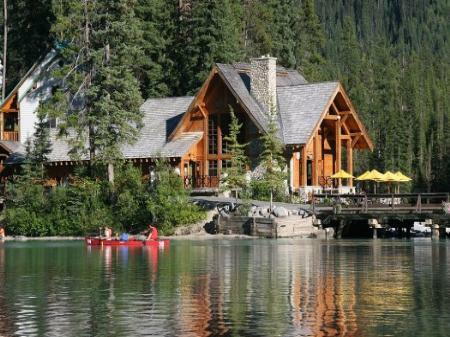 Now that summer is here, many people like to spend their weekends out of the city, but not everyone has that luxury. If you’re stuck in Toronto, on a beautiful weekend, and you’re wondering what to do we got you covered. 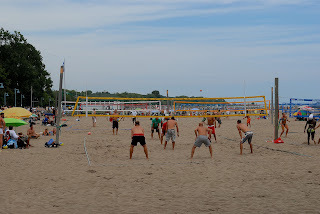 Toronto has over 10 designated beaches along the lake shore; whether you drive or take the TTC getting to one of these beaches is a breeze. Why spend two to three hours stuck in cottage traffic to visit a beach when you have so many options right here in the city. Spend the day at Woodbine Beach with friends, play a match of beach volleyball, or take your pooch to Cherry Beach for a fun day at leash-free beach. Be sure to visit the city of Toronto website for daily swimming condition updates. 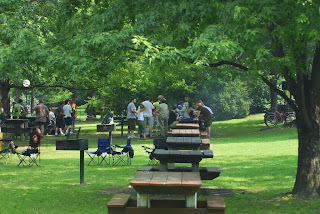 Toronto has plenty of parks around the city, that offer a picnic or BBQ area. Plan a day at the park with friends or family, have everyone bring food and drinks. Set up activities, like soccer, volleyball or tennis match, or even a water balloon fight. Be sure to arrive early to get a great spot under a tree for some natural shade. Or set up a portable canopy above your picnic tables, and if you have small infants that still nap during the day maybe pitch a small tent in which they can sleep. Fill up your coolers with lots of icy and plenty of water, remember to always wear sun protection when outdoors. Also, since it has been a rainy summer, there are plenty of mosquitos around wooded areas so don’t forget to use bug repellent. After spending the morning organizing and cleaning your apartment, head out for a night in the town. Have dinner at your favourite restaurant, or try a new spot. Enjoy drinks or dessert on the patio while taking in the beautiful summer breeze. There also a couple of clubs in the city that have large outdoor patios if you’re in the mood for dancing. 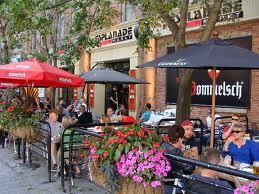 Take advantage of the Summerlicious menus and try out new places around the city for a relaxing night in the town. 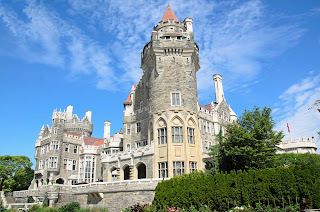 Toronto is such a large city, there is plenty to see and do on any budget. Get a day pass for the TTC and explore the city, take a stroll through Roncesvalles Ave and indulge in this Artsy neighbourhood while enjoying some local favourites. Or shop and dine in Little Italy, enjoy the delicious pizzas and gelatos. Take a tour of Casa Loma, this beautiful castle reminiscing of Europe right in the heart of Forest Hill. Cheer on your team, Toronto FC at BMO field or the Blue Jays at the Rogers Centre. Take a stroll along Philosopher Walk or King College Circle, exploring the beautiful architecture of the University of Toronto or Queens Park. Shop at the Eaton Centre, or enjoy the live entertainment in Yonge and Dundas Square. Need to entertain the kids, head out to Center Island for the day, enjoy the rides, rest at the beach or head up to Wonderland for the day and visit SplashWorks. It doesn’t matter where you go in the city; there is something fun for everyone to do! 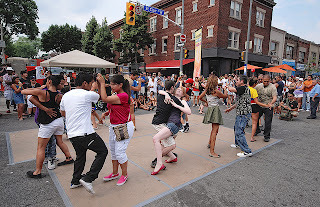 Why host a party in your apartment when every weekend Toronto hosts a street party? From Salsa on St. Clair, to the Rib Fest, Jazz Fest or Taste of the Danforth, there are plenty of parties going on around the city, take in some culture, and enjoy some food or just hang out with friends. With live music and entertainment, and great dining options, you’ll be returning every year. Toronto also hosts the ever so popular Caribana Weekend, and Pride Parade. These popular events lure in hundreds of visitors from all over city, be sure to check them out. Many of these events run all day and into the late hours of the nights, so feel free for it to cool down before heading out. When searching for an apartment in this beautiful city of Toronto, be sure to visit www.flagshipcorp.ca and be on your way to renting!!! 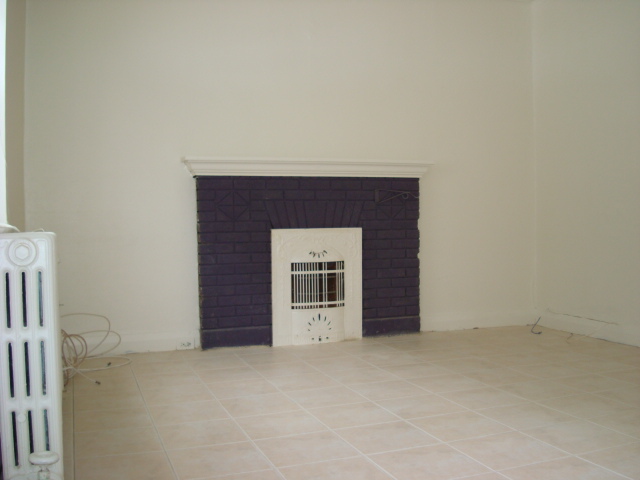 Like many renters, you most-likely have a clause in your rental agreement which states no modifications like paint can be done to the unit. It’s hard to imagine not being able to personalize your space without adding some paint color to brighten up the walls. Not being able to modify the paint can make it very challenging to decorate a space, but we have some great tips on how to make it work. 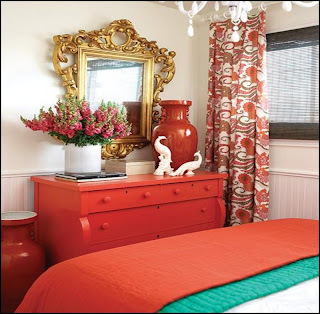 Cover your windows with the some stylish, patterned or bold colour curtains, to add a punch of colour to your space. 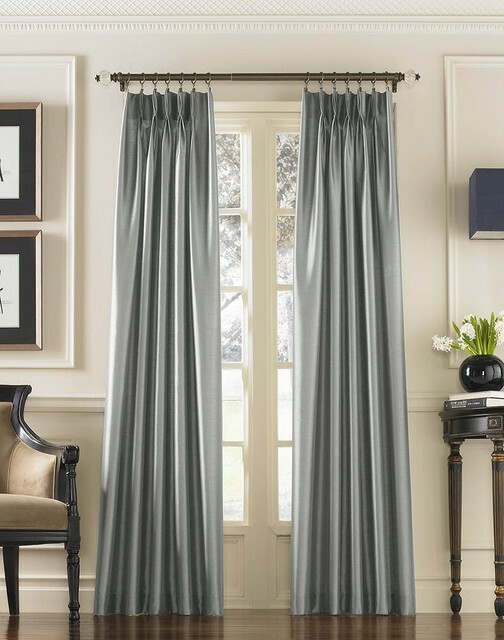 If you want something more subtle, purchase some light sheer curtains in soft hues for just the right amount of colour. Another cool idea is pick a focal wall, and hang some curtains against the wall like a backdrop. This will draw in the attention you’re looking for without ruining your walls with paint. Pillows and pillowcases are a great simple way to add colour to a space, add some vibrant throw pillows to your couch for a quick updated look. 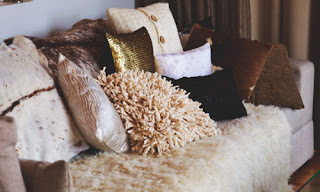 Also, adding colour in your bedroom is simple; just add a variety of pillows in different shades, textures and sizes. The great thing about pillows is they’re easy to change and switch up. If you’re on a budget you can buy extra pillowcases or make your own instead of buying new pillows in different hues. Another great way to add colour pop to your apartment is with fresh flowers and plants. 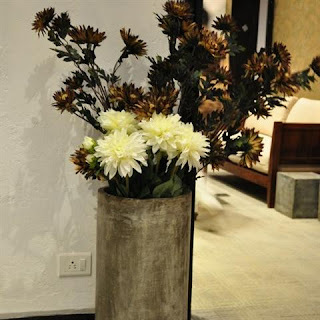 There are some great stylish and chic vases or planters that are sure to transform your space. This brings a vibrant aesthetic into your space without doing much of anything else to your décor. 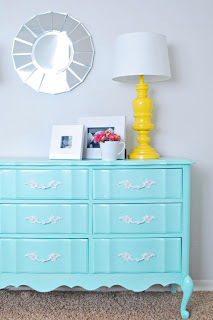 If you have outdated furniture that is just making your space look plain and boring, why not try refinishing it in some great colors. Like take an old table, paint it a fresh vibrant colour, add some stylish chairs and you got yourself a new modern space. Wall decals are great, easy to put up and easy to take off. With a wide variety to choose from, you are sure to find something that fits your budget and style. These are a great alternative to painting, as it’s not as messy and simple to put up. Wall decals are the best way to personalize a wall without having to paint. Another way to make the space your own without colour, is by adding wall art throughout. Whether its buying special pieces of art from a home store, or whether you create your own this easy step will have your space looking stylish. The great thing about wall art is you can put more than one piece on a wall and create your own art. 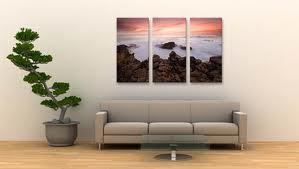 You can also mix and match frames to add a little originality to your wall art. So even though your lease says no paint modification is allowed, there are still many ways to personalize your new apartment without paint. Be sure to visit www.flagshipcorp.ca when searching for a new place in Toronto. Final product after following these decor tips.